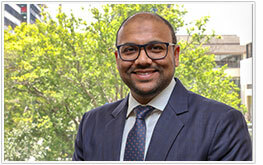 Rehan Badar joined us as an Associate Audit Director in January 2019. He was most recently Manager, Quality Assurance within the Accounting and Auditing Policy team at the Office of the Auditor-General. Prior to that Rehan was with PwC for eleven years across several countries including Pakistan, the United Arab Emirates, the United Kingdom, and in New Zealand as a Senior Manager. Rehan has a strong involvement in the accountancy profession, sitting on member committees for both Chartered Accountants Australia and New Zealand and the Association of Chartered Certified Accountants. He is also involved with the Multicultural Council of Wellington. Rehan is a member of Chartered Accountants Australia and New Zealand, Association of Chartered Certified Accountants, and Institute of Chartered Accountants of Pakistan.